Begin by selecting a history cycle to study. Time Period: 4000 B.C. - 476 A.D. The Ancient History cycle covers a wide swath of history, beginning with creation and extending through the Roman Empire. Discover how the Bible connects to extra-biblical world events. Compare timelines between various familiar historical events to see a global view of how different cultures developed simultaneously. Get an up-close view of daily life in ancient civilizations, exploring history through novels, biographies, and brilliant picture books. The Culture & Ideas cycle looks at world history from an ideological perspective, incorporating world and church history together while also exploring the cultural impact of Renaissance artists and musicians. In this cycle, you and your students will cover historical events stretching from the end of the Roman Empire through the 17th century. Read living books that bring medieval daily existence to life, while also exploring the lives of famous men and women from the Middle Ages, Reformation, and Renaissance. A New Nation focuses primarily on the exploration of the Americas, the founding of the United States, and the westward expansion that laid the groundwork for the nation we know today. In this particular history cycle, the topical focus is narrowed to cover our heritage as Americans. Even so, timelines and living books prepare students to compare this narrow focus to the broader worldview explored in the Culture & Ideas cycle. The Modern World & Geography cycle completes the four-year cycle with a focus on the most recent century of world history. In addition to more living history books that draw readers into various periods and cultures, this cycle reinforces an understanding of geography and explores the foundations of cultural differences through social studies lessons. Welcome to 4th Grade Lesson Plans! Homeschooling my children has been a joy and a privilege and has proven to aid my family in developing a close-knit relationship. After nearly thirty years in the home education industry, both as a student and as a teacher, I’ve taken my experience and developed Well Planned Lessons. There are several features that make these lesson plans unique, comprehensive, and yet easy-to-use. I learned early on that each child will develop while processing through three levels of education from preschool through 12th grade. When your teaching methods coincide with the strengths of each learning stage, you strengthen your child’s enthusiasm for learning and equip them to learn well. We’ve all heard it said that young minds are like sponges, and the saying is indeed true. Little ones take in an abundant amount of information, beginning even before birth. By the time they reach the first grade, this absorption learning leads to a great enthusiasm and excitement about academics. But, we must remember that these early academic years are not intended to be processing years. They are, instead, collection years. This is the time to let our children explore, gather, accumulate, and absorb as much as possible in fun, exciting ways. When we let our early learners absorb without weighing them down with heavily structured learning, it may feel as if we are neglecting academic development that will get them ahead in future years. But the opposite is actually true. Somewhere around fourth or fifth grade, a tangible change begins to take place in your child. Connections start clicking into place. Light bulbs come on. An understanding dawns. The change is subtle at first, but, as you ask comprehension questions, discuss prayer requests, or explore the impact of experiences, you will notice a new depth to your child’s conversational contributions. These understanding years, typically fitting into what is now referred to as middle school, form a bridge between the years of excitement and the deeper thinking required in high school. Before you know it, your preteen becomes a teenager and begins to see how the facts he learned in those exciting early years come together to form more than just an interesting web of connected events. In the reasoning stage, typically centered in the high school years, your blossoming student explores the why behind all of the information he has learned thus far. It is during these years that your child will begin to question things he has always known. He will try to establish his own foundation of beliefs and process why he thinks the way he does. Read specific details and more ideas on how to integrate the different stages of education. 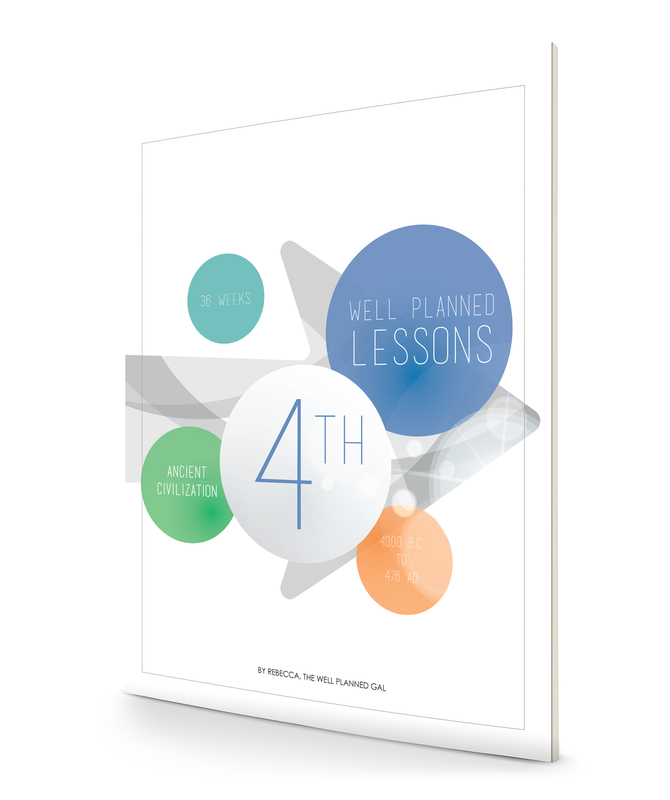 In addition to understanding and implementing the different stages, another means to give your student the most well-rounded education is to teach through a four year history cycle. Instead of focusing on a specific country or region, teaching through history cycles gives our students a broader view of the connectivity of world events. When we teach compartmentalized history, we often miss the full significance of specific familiar events throughout history. That is why teaching history from a cyclical perspective makes such a difference. To know how to approach teaching through a four-year history cycle, it is helpful to know what is included in each cycle. This cycle covers a wide swath of history, beginning with creation and extending through the Roman Empire. Discover how the Bible connects to extra-biblical world events. Compare timelines between various familiar historical events to see a global view of how different cultures developed simultaneously. Get an up-close view of daily life in ancient civilizations, exploring history through novels, biographies, and brilliant picture books. This cycle looks at world history from an ideological perspective, incorporating world and church history together while also exploring the cultural impact of Renaissance artists and musicians. In this cycle, you and your students will cover historical events stretching from the end of the Roman Empire through the 17th century. Read living books that bring medieval daily existence to life, while also exploring the lives of famous men and women from the Middle Ages, Reformation, and Renaissance. This cycle focuses primarily on the exploration of the Americas, the founding of the United States, and the westward expansion that laid the groundwork for the nation we know today. In this particular history cycle, the focus is narrowed a bit to cover our heritage as Americans. Even so, timelines and living books prepare students compare this narrow focus to the broader worldview explored in the Culture & Ideas cycle. This cycle completes the four-year system with a focus on the most recent century of world history. In addition to more living history books that draw readers into various periods and cultures, this cycle reinforces an understanding of geography and explores the foundations of cultural differences through social studies lessons. It’s up to you and your students! Dive in, explore, read, discuss, and be ready to take an adventure through history with any one of the four history cycles. Discover specific topics covered in each history cycle. In each grade level, I’ve chosen a curriculum full of living books. These are books written to excite and engage the reader, often through a conversational or narrative style. Living books come alive with details and descriptions, connecting with the readers’ emotions as they live out the story in their imaginations. These books are often written by authors who have a passion for the time period or event, thus giving students a broader understanding of how day to day life was lived out. Student will read stacks and stacks of literature when utilizing a curriculum full of living books. For many homeschool families, this is an opportunity to build a rich and vibrant home library. However, for others, whether due to lack of space, limited finances, or simply a desire to reserve budget spa"ce for fun outings, using the local library is a better route. Whichever works best for your budget and schedule, living books will give your children a vibrant and memorable education. Read more about how to build your own home library or utilize the local library best at wellplannedgal.com. Having an understanding of how your child will develop as they age, exploring information about how to teach history in a four year cycle, and learning how to utilize living and exciting books only works when coupled with effective and consistent time management. 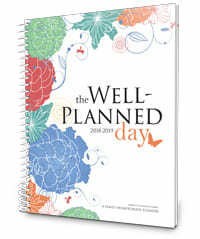 As something you want to model as well as train, time management is a vital part of your school day. 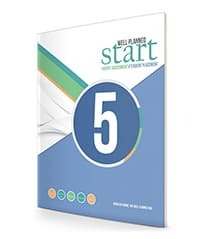 In the pages of each set of Lesson Plans, I’ve both done the planning for you and incorporated the tools necessary to help train your student on managing and planning their chores, activities and more. So what are you waiting for? Give Well Planned Lessons a try today! 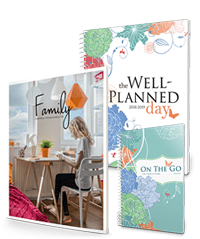 The following articles give insight on how Rebecca, the Well Planned Gal developed lesson plans for homeschooling families. Learning naturally processes through a series of stages as children’s brains mature. Although the boundaries of these stages are by no means rigid, distinctions do exist based on how children develop. So, what should you expect in each of these stages? How should the developmental process affect how we teach? Instead of focusing on a specific country or region, teaching through history cycles gives students a broader view of the connectivity of world events. Of course, there are also other advantages to teaching through history cycles. It can often be difficult to determine which activities constitute the essentials and which can be skipped. 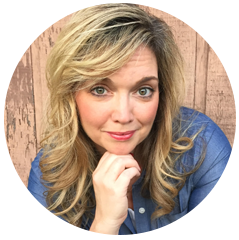 That’s why Well Planned Gal designed her lessons to include clearly noted Essentials, Enriched, and Comprehensive categories. Yes, books take up valuable space in a home, and the build up over years of homeschooling can be a bit overwhelming at times. So, how do you build a library while still making the most of your space?